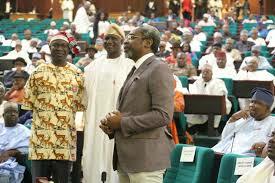 APC adopts Femi Gbajabiamila as candidate for Speaker – Royal Times of Nigeria. 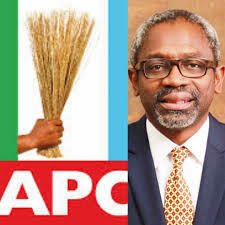 The All Progressives Congress (APC) has adopted the House Leader, Femi Gbajabiamila, as its candidate for the position of the Speaker of the House of Representatives in the 9th Assembly. This position was reached after an intensive deliberation with the APC’s House of Representatives members-elect at a dinner with President Muhammadu Buhari at the Banquet Hall of Aso Villa. The party chairman, Adams Oshiomhole informed party members at the gathering that the APC was determined to ensure that it does not repeat what he described as mistakes made in the 8th Assembly, under a hostile leadership. He asked that ninth Assembly not to entrust the leadership of critical committees to the opposition like the leaders of the eighth assembly did. The National Publicity Secretary of the APC, Lanre Issa-Onilu, who also confirmed the party’s position to reporters at the end of the event disclosed that the position of the deputy speaker has been zoned to the north-central region of the country.